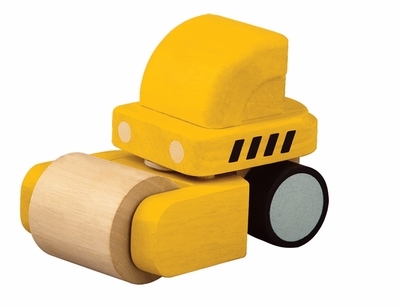 Mini Roller has a working mechanism that is designed especially for toddlers. Simple to operate, the roller on the front provides easy directional control. Made of rubber wood and painted with non-toxic soy paint. Measures 3.5" x 5.7" x 4.1".